Evaluated the emerging lifestyle hostel model globally to understand the opportunity to enhance the shared room concept. But, extensive research showed that travellers who stay in hostels, in fact, do not like rooming with strangers and often book just with their friends or family. They want more from their hostel experience but are limited by current options in the market. Prime Locations: It’s about giving travellers access to the best location – being in the heart of the city and in the most popular neighbourhoods. Right neighbourhoods make a difference. Affordability: Competitive rates that open the doors to cities and locations that travellers didn’t think they could afford. Motto by Hilton – Brand Essence from Hilton Newsroom on Vimeo. 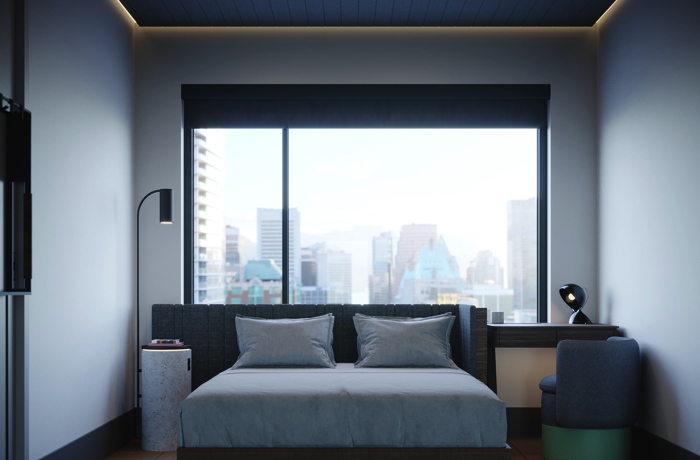 While Motto by Hilton prices will vary by market, each property will offer competitive rates that will make it a viable option for travellers who typically stay with friends or family or seek out temporary housing options when travelling to urban markets. 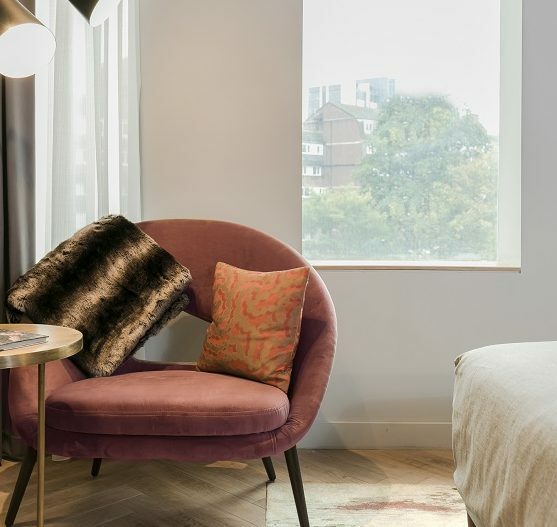 Motto by Hilton hotels will be located in prime neighbourhoods, such as the 100-bed Motto by Hilton in Marylebone, London, which is being developed with the UK-based developer, Dominvs Group. Demolition on the site has commenced and construction will start in January 2019, targeting a 2020 opening as one of the first Motto by Hilton properties. Motto by Hilton – Virtual Flythrough from Hilton Newsroom on Vimeo. As it continues to grow its presence in Africa by introducing new brands and entering new countries, Hilton has announced it is on track to more than double in size in the next five years with the opening of Legend Hotel Lagos Airport, Curio Collection by Hilton – the company’s first Curio Collection by Hilton hotel in Africa. Legend Hotel Lagos Airport is located at Murtala Muhammed International Airport, which serves more than eight million passengers each year. The stylish hotel is adjacent to the airport’s private jet terminal and has an exclusive immigrations and customs desk in the hotel for private jet passengers. Handpicked to be part of the exclusive collection of one-of-a-kind hotels and resorts celebrated for their individuality, the hotel joins more than 60 Curio Collection hotels around the world. This is Hilton’s first hotel in Lagos and its second in Nigeria, with an additional seven hotels in its development pipeline for the country. Hilton is seeing strong demand for its brands across the continent and expects to open eight hotels in total across Africa this year, three of which will fly under the Hilton Garden Inn flag. This brand appeals to the rising tide of middle class travelers into and across Africa and the company expects to open at least 16 Hilton Garden Inn hotels in the coming five years, including brand entries in Kampala, Ghana, Malawi, eSwatini (formerly Swaziland) and many other strategic locations across sub-Saharan Africa. Last year, Hilton launched the Hilton Africa Growth Initiative, which will support the conversion of existing hotels to Hilton brands with an investment of US$50 million over five years. During that period, Hilton expects to secure 100 conversion opportunities with some 15-20,000 rooms added to its portfolio to meet the growing need for quality branded hotels across the continent. Hilton is committed to growth and opportunity across Africa and has been a continuous presence on the continent since 1959. With 41 open hotels and 53 in its development pipeline in Africa, Hilton expects to double its footprint across the continent in the next five years. This includes market entries in 13 countries where it does not currently operate including Botswana, Ghana, eSwatini (formerly Swaziland), Uganda, Malawi and Rwanda. 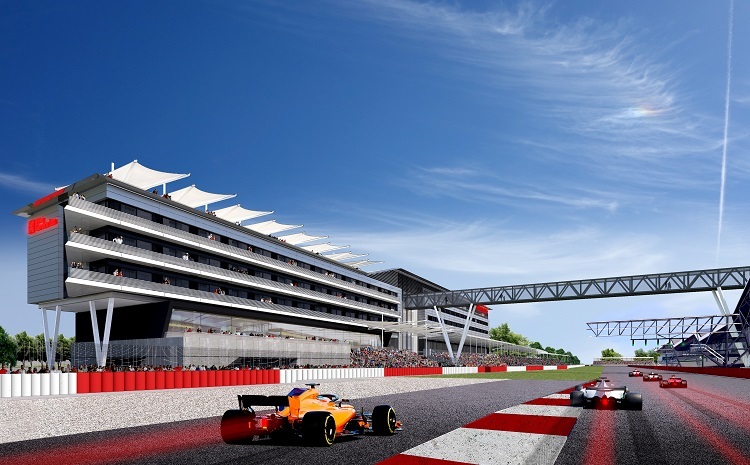 The announcement of a new Hilton-branded hotel to open at Silverstone, the home of the British Grand Prix, further solidifies the hotel design industries long-standing relationship with the automotive industry. The 197-room Hilton Garden Inn Silverstone, which is slated to open in 2020, will feature balconies that will overlook the circuit from the hotel, allowing customers to watch the race from their rooms. In addition, the hotel will also feature a rooftop terrace as well as connecting directly to the Silverstone Wing pit and paddock complex via a bridge over the straight. Silverstone hosts Britain’s round of the Formula 1 world championship. The circuit’s managing director Stuart Pringle says it expects the number of annual visitors to increase from 1.5 million to more than two million by 2020 when the hotel is expected to open. The home of British Grand Prix racing will be the latest sporting venue to house a Hilton branded hotel. In addition, the international hotel giant operates more than 30 stadium hotels globally. 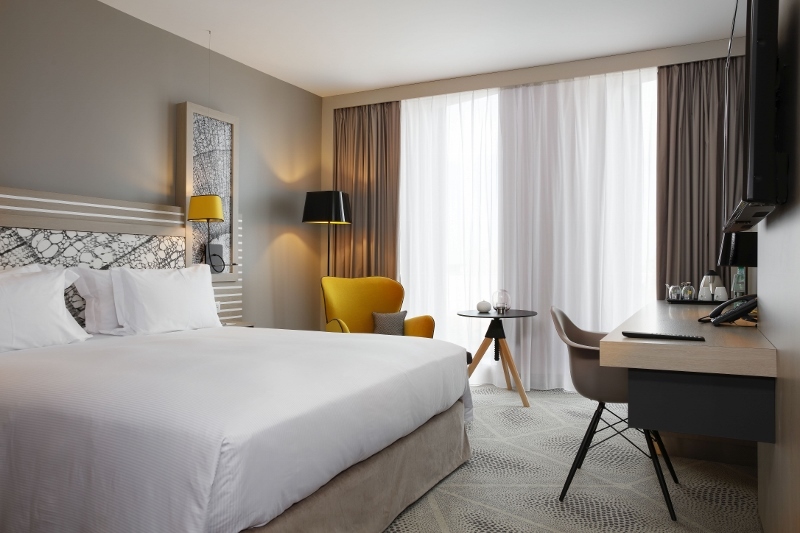 Hampton by Hilton has celebrated its Middle East debut with the opening of Hampton by Hilton Dubai Airport, marking the largest property in Hampton’s global portfolio. 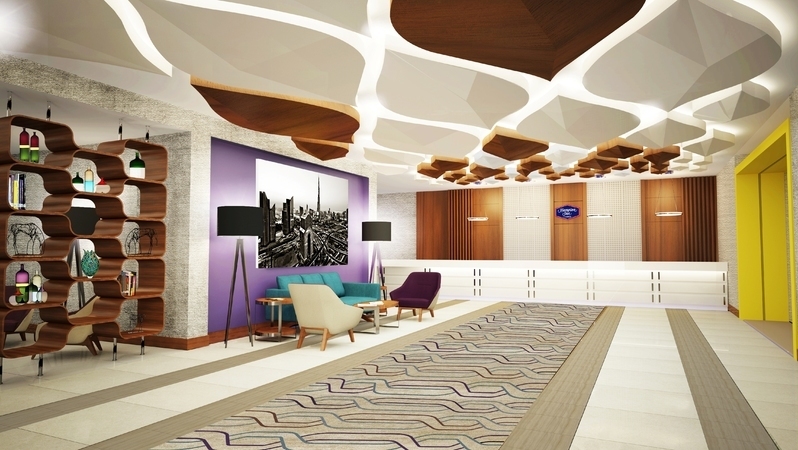 The opening of Hampton by Hilton Dubai Airport reinforces the brand’s commitment to international growth, driven by concerted efforts in China and Latin America, while deepening its reach in the U.S. and Europe. The opening bolsters Hampton’s international footprint of more than 2,380 hotels in 22 countries and territories. With the largest pipeline in the brand’s history and in the Hilton enterprise with 620 planned hotels, Hampton is positioned for successful, rapid and steady growth in its target markets. Hampton recently opened its first hotel in Kazakhstan, and soon will enter into Argentina, Chile and France, with continued expansion in China, where it is the fastest growing international hospitality brand in the country. The contemporary 420-key hotel is located near the Dubai International Airport and the Dubai Airport Freezone Authority (DAFZA). Hampton by Hilton Dubai Airport also features a state-of-the-art rooftop gym with panoramic views of the Dubai skyline, a large infinity pool and a fully licensed bar. 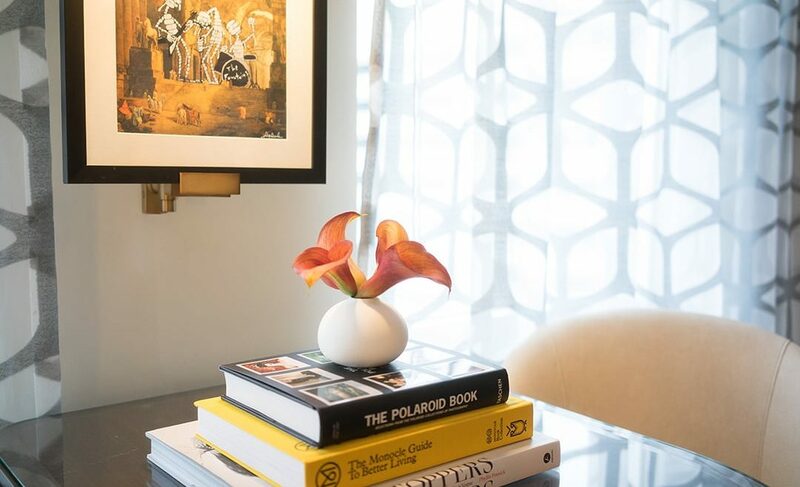 Guests will immediately feel at home with the property’s warm and modern interiors, flowing with natural light and complemented by touches of lavender, gold, and locally inspired artwork that adorn the hotel walls and corridors. The highly anticipated property brings Hampton’s signature value-added services and amenities for the first time to the region, offering free, hot breakfast with healthy options, spacious rooms, complimentary Wi-Fi, and a 24/7 business center. Hampton continues to be a category leader in terms of guest experience with its 100% Hampton Guarantee, making sure guests are 100% happy. Globally recognised for its unmatched approach to hospitality and friendly, caring service culture known as ‘Hamptonality’, Hampton aims to serve the region’s growing demand for mid-market hotels – particularly among millennial travelers, who are increasingly prioritizing value in their search for accommodation. A recent survey of just over 1,000 respondents conducted by Hilton in partnership with YouGov found that when choosing between two destinations, almost half (44 per cent) of UAE travelers were likely to base their decision on overall travel cost. 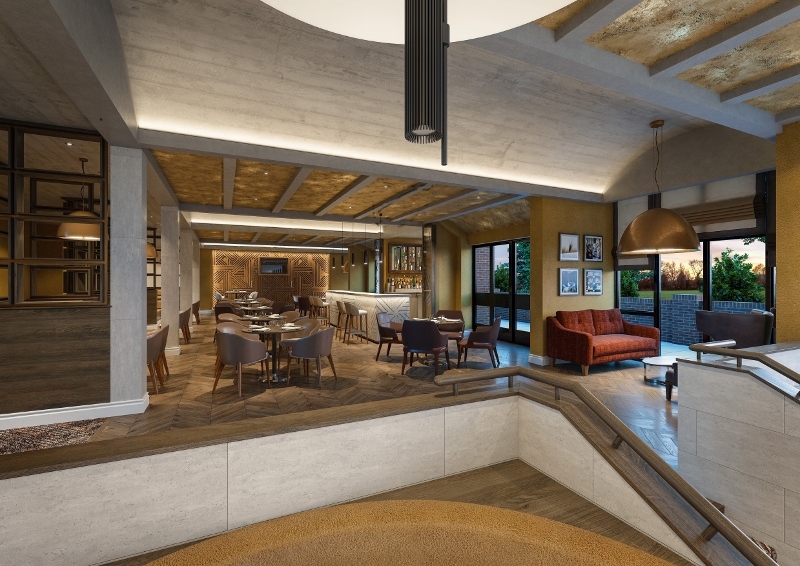 France’s hub of the famed wine-growing region, Bordeaux, has drawn the attention of Hilton Hotels’ upscale yet affordable brand Hilton Garden Inn as it launches its first hotel in France. The new 166-key hotel joins an existing nine Hilton properties in France, which will be managed by Naos Hotel Groupe. The highly anticipated property offers business travellers and holiday seekers access to Hilton’s globally recognised hospitality service in the heart of one of France’s cultural hubs. 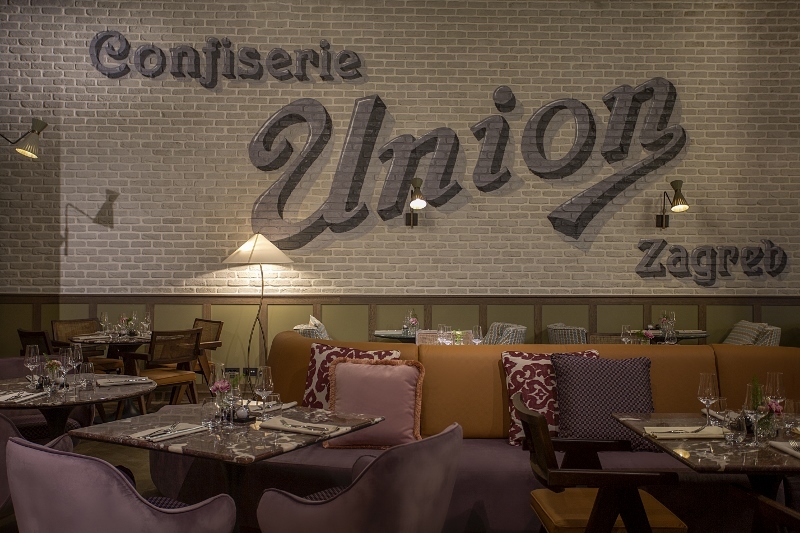 The hotel is located in the centre of Bordeaux and references motifs from the location throughout the interior design. The well-appointed modern and airy 166 guestrooms include 35 family rooms, 29 deluxe rooms, 17 suites and five wheelchair accessible rooms. 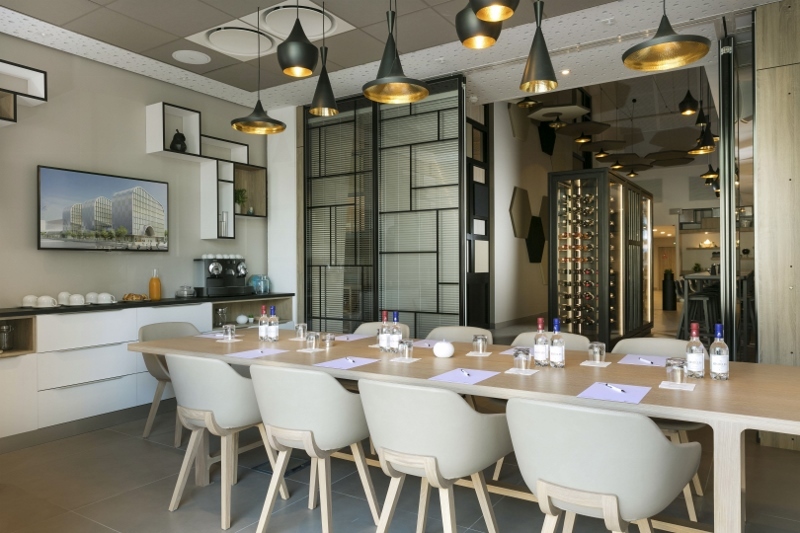 Designed for both leisure and business travellers in mind, the indoor event spaces at Hilton Garden Inn Bordeaux Centre includes more than 250 square meters of banquet space, make it an ideal riverside venue for hosting or celebrating a special occasion. Business travellers can take advantage of the hotel’s spacious meeting rooms that are modern and fully equipped for any event. 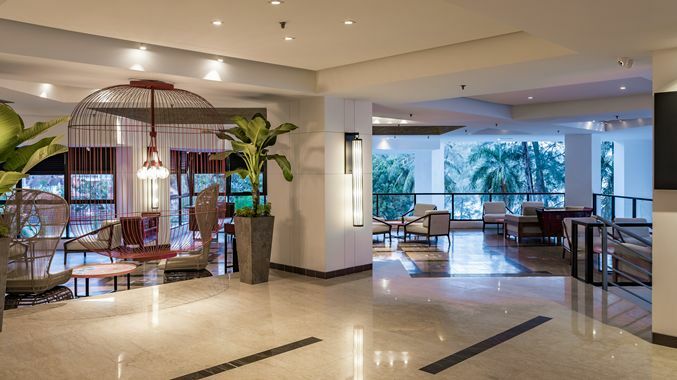 DoubleTree by Hilton has opened its first resort-style property in Malaysia: DoubleTree Resort by Hilton Penang, and also marks the 50th DoubleTree by Hilton property in the Asia Pacific region. 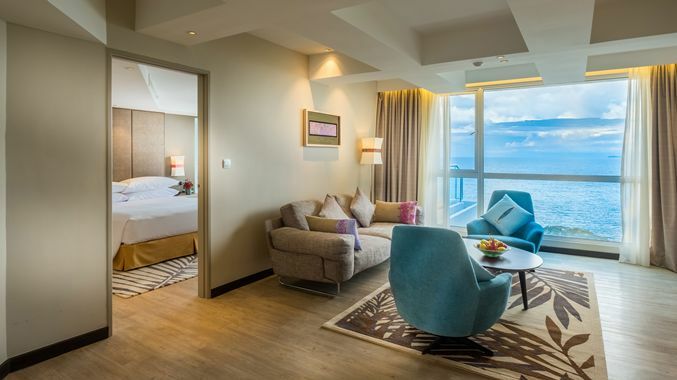 Located in the vibrant beach area on Penang’s north coast, overlooking the Indian Ocean, DoubleTree Resort by Hilton Penang is a family-friendly resort with exceptional facilities for all ages. Overlooking Malaysia’s Miami Beach, DoubleTree Resort by Hilton Penang features a distinctive design concept that blends contemporary style with classical Peranakan motifs. The 316 rooms and suites are all equipped with walk-in rain showers, 40-inch LED TVs and Wi-Fi. Families can opt for two inter-connected rooms, linked by a hallway door to create a private sanctuary, complete with double and twin bedrooms and separate bathrooms. “Blessed with a rich history, diverse culture and tropical scenery, Penang is a truly enchanting destination. As the first DoubleTree resort in Malaysia, we are delighted to bring the brand’s warmth and genuine hospitality to the country, as epitomized by the welcome cookie we offer to all our guests,” commented Jamie Mead, Regional General Manager, Hilton Malaysia. The upscale resort also features a state-of-the-art conference area, including three flexible meeting rooms for events of between 12 and 120 delegates. 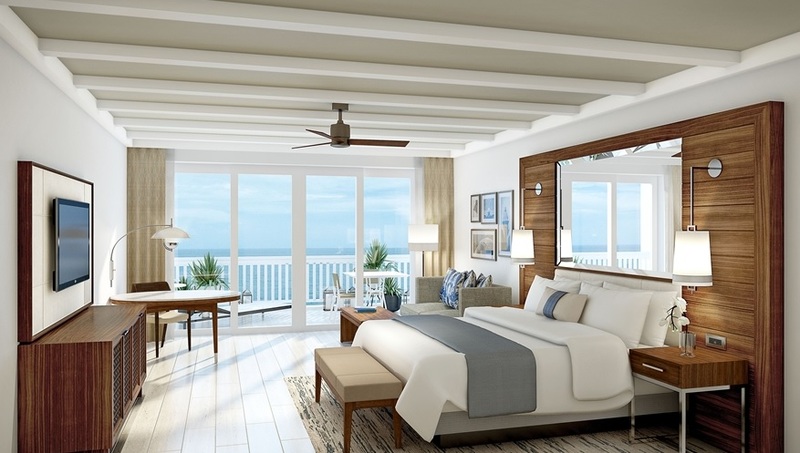 The new resort is also part of Hilton Honors, an award-winning guest-loyalty program for Hilton’s 14 distinct brands. Hilton have made an incredibly bold statement: they opened more than one hotel a day in 2017. 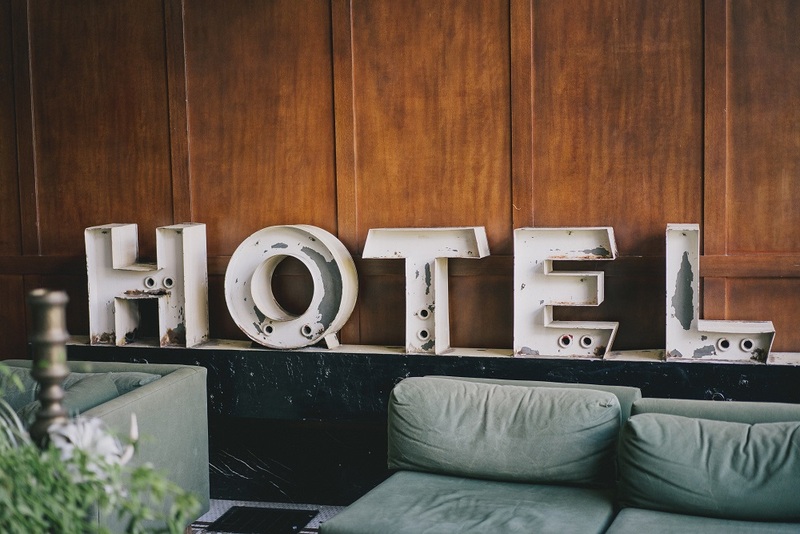 Despite current trends suggesting that guests are demanding more boutique hotel experiences, and for hotels to feel more personalised like Airbnbs, the hotel group’s yearly report suggests big brands are still retaining customer loyalty. This is not to say that the hotel group haven’t been modernising by becoming more boutique. 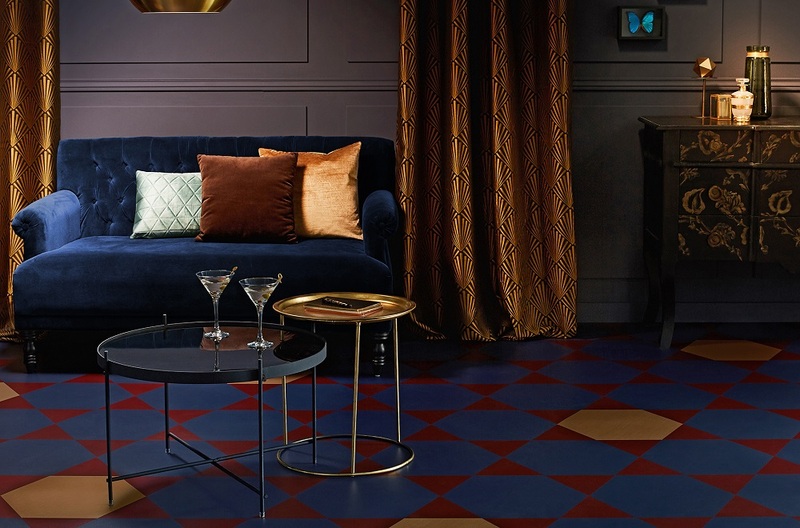 Their Canopy by Hilton rooms, soon to open in London with bespoke in-room artwork by independent suppliers Dais Contemporary, are just one example of how the group are pushing boundaries and distancing themselves from being seen as providing an anonymous hotel experience. Bucking the trend for Airbnb and boutique hotel experiences? In the group’s annual business report, the hotel say they opened 399 hotels last year. Significantly more than one a day across their 14 international hotel brands. Hilton’s report also revealed the group have 345,000 rooms in the pipeline to open, and that they returned $1.1 billion in capital to investors throughout the year. The group’s net income for 2018 is predicted to be between $802 million and $837 million. 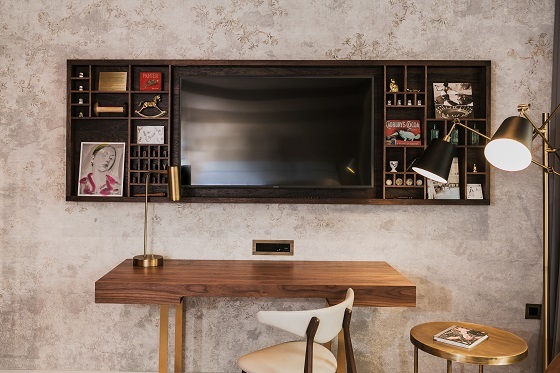 Looking further at Hilton’s fresh hotel designs, ACME design studios have unveiled the look and style of the first room from the new Canopy by Hilton hotel project in the City of London. 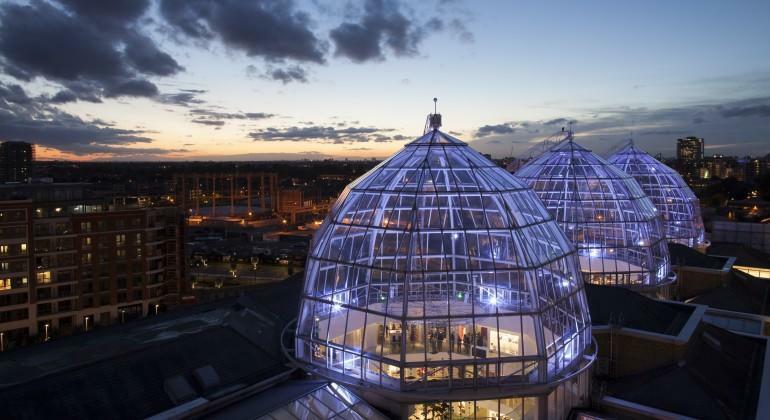 The landmark expansion in the heart of the City has been described as “part refurbishment, part new construction” and takes its inspiration from the City’s cultural and historic capital. The first look at the design appears brutal and industrial, with the eponymous treetop canopies lending softness from the window. Furnishings are modern and in rich, earthy tones and parquet wood flooring is underfoot. The Canopy by Hilton brand can also be found in Reykjavik, Iceland. 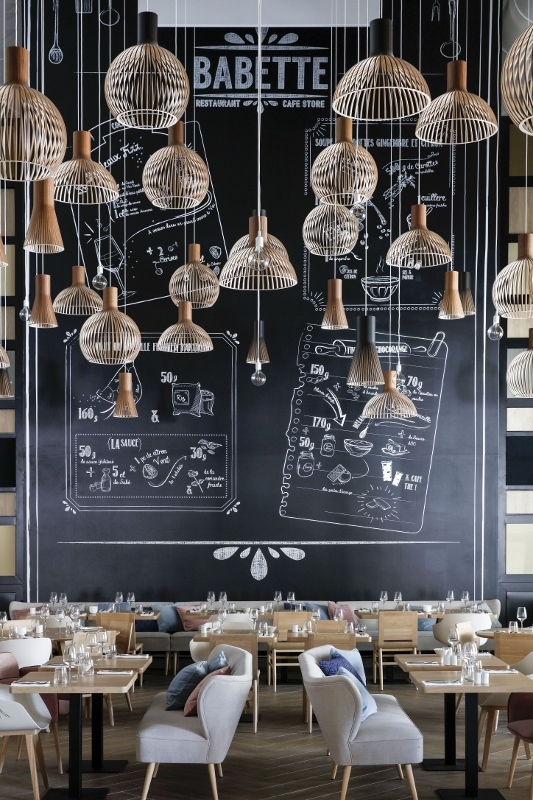 It’s the Hilton’s way of saying they’ve learnt about the demands of the modern traveler: out with anonymous colours, textures and patterns, in with a more personalised design reflecting the local community. The hotel draws on the Jewish and Bangladeshi immigrants who moved to Aldgate in the 19th and 20th Centuries, while respecting the modernist frame of the building, by exposing the concrete framework (typical of the period) wherever possible. 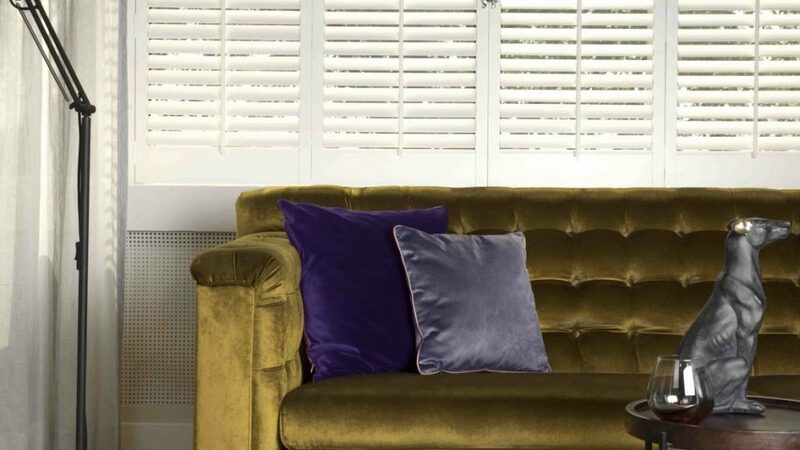 Bespoke furniture and fabrics have been developed for the hotel. Some of which lay as bedspreads, while others form the chaise longue, cushions, chairs and lights. El San Juan Hotel, a landmark luxury, lifestyle and entertainment property in Puerto Rico, has joined Curio – A Collection by Hilton. 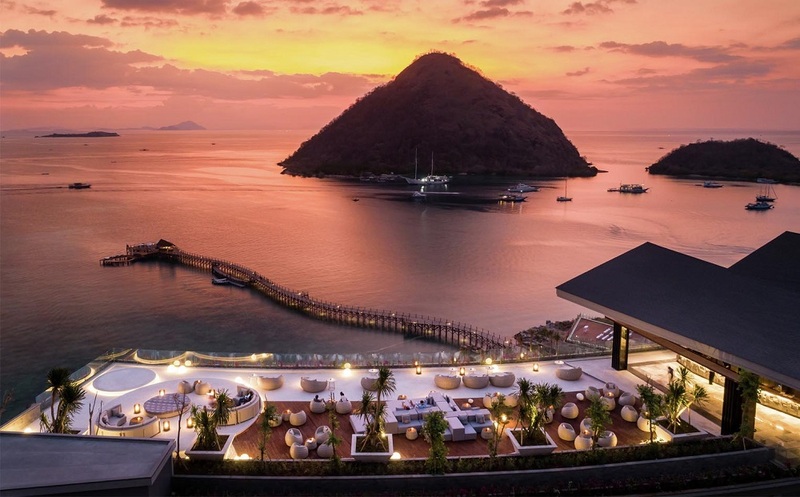 As Hilton’s rapidly-expanding global collection of distinctive upper-upscale hotels, Curio caters to passionate travelers seeking local discovery and authentic experiences. 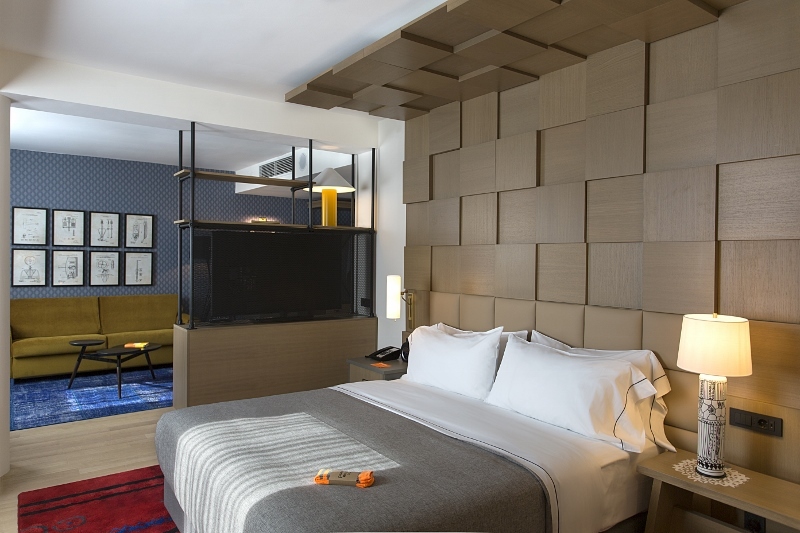 Asset managed by LEÓN, MAYER & Co., who is also a co-owner of the hotel, and co-managed by IMPRINT Hospitality and Aimbridge Hospitality, the 388 guest room hotel marks the first property in Puerto Rico for Curio – A Collection by Hilton. “In the 1960’s, Puerto Rico became one of the most visited destinations in the United States, with El San Juan Hotel, Curio Collection by Hilton, being at the center of its vibrant music and entertainment scene. After a $60 million dollar restoration, we are thrilled to reopen a property that pays tribute to the history of Puerto Rico and carries on the hotel’s legendary entertainment and music programming.” said Stefan Huber, managing director and general manager, El San Juan Hotel. Designed by Jeffery Beers International, one of the top hotel and restaurant designers in the world, the modern look and lavish feel of the property can be felt throughout. The front of the hotel has been completely transformed and upgraded. It also features a custom sculpture designed by acclaimed local artist, Luis Torruella. Torruella’s design of the eight-foot sphere that floats in a pool of water is inspired by the close relationship that Puerto Rico and the hotel share with music, dance and nature. The expansive lobby features a hand-carved mahogany ceiling and iconic chandelier while the rooms, suites and villas use warm-toned stone, creating a relaxed – yet sophisticated – atmosphere. Providing diverse and distinct dining experiences, El San Juan hotel features five award-winning restaurants overseen by Executive Chef Gonzalo Rivera who, prior to joining El San Juan Hotel, served as the Executive Chef at Boca Beach Club, A Waldorf Astoria Resort. 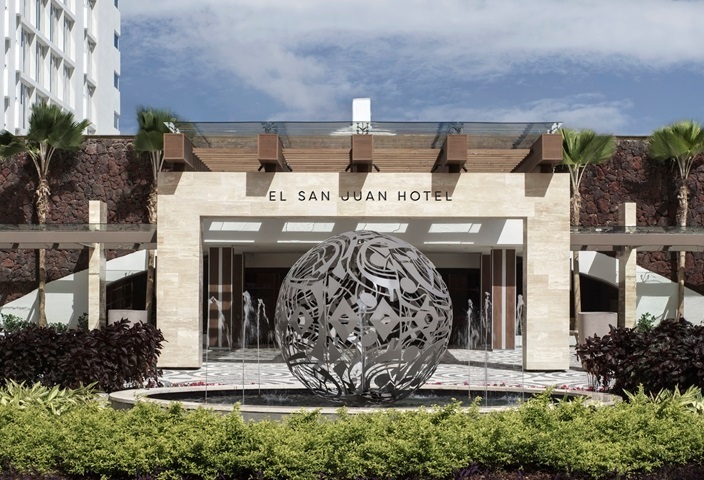 In addition to its restaurants, El San Juan Hotel boasts an 11,000 square foot grand ballroom – the second largest in San Juan – four pools, six bars and the vibrant El San Juan Beach Club. Throughout the coming year, the hotel will introduce, amongst other things, new innovative programming, spacious state-of-the-art spa and fitness facilities and curated restaurant concepts in newly-designed venues. 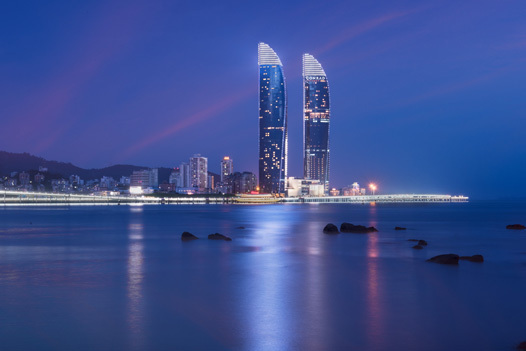 Conrad Hotels & Resorts smart luxury hotel brand, today announced the opening of Conrad Xiamen, on the southwestern coast of Xiamen Island. Conrad Xiamen occupies the 37th to 54th floors of the iconic 300-metre tall Shimao Straits Tower, in the heart of Siming’s Central Business District. Designed to be a shopping, leisure, and business hub, Shimao Straits Tower is a striking sea-facing landmark with a sail-shaped design boasting expansive views of the famous Gulangyu Island. With over 2,000-square-meters of flexible meeting space and state-of-the-art audiovisual technology, Conrad Xiamen is also an ideal venue for corporate events, social gatherings and weddings. There are eight multifunction meeting rooms that can accommodate up to 210 people and a pillar-less, 760-square meter ballroom that is connected to a sea-facing 380-square-metre foyer. Indidesign has just completed a renovation of the 17,160-square-foot lobby at Hilton San Francisco Union Square Hotel. The firm were inspired by San Francisco’s raw, yet detailed, steel structures, bridges, and turn-of-the-century flare. Design details include custom elements with structural features throughout the lobby, such as the metal edges that stamp the corners of columns and a massive, central geometric light fixture. One of the design challenges was integrating the new bar and Herb N’ Kitchen Market into the pre-existing space. As the majority of the lobby area – including the building’s structure, stone flooring, and central entry door system – was maintained, the team had to come up with several creative solutions to shift the dynamic of the lobby into a cohesive lounge space. To fit all desired components and make the most of the space, the team streamlined the columns and front desk, as well as integrated furnishings that complement the lobby. 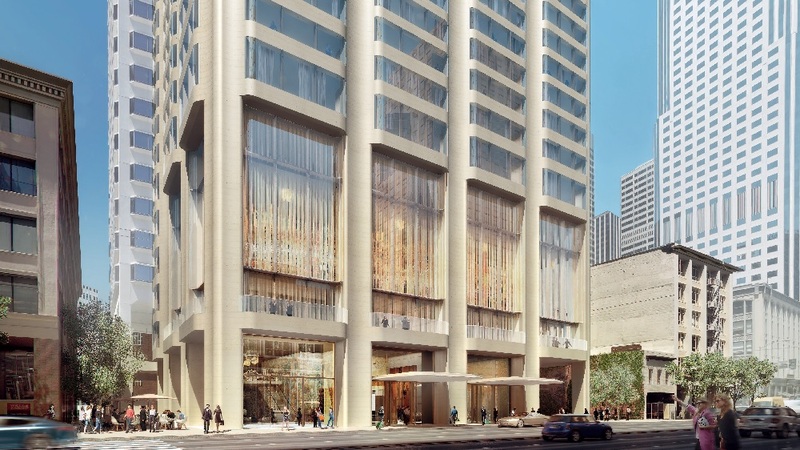 Waldorf Astoria Hotels & Resorts has announced its newest property, Waldorf Astoria San Francisco, which will be the centerpiece of a two million square-foot, mixed-used complex that will feature luxury entertainment, retail and office space. Waldorf Astoria San Francisco will reside within the first 21 storeys of a signature tower designed by the architecture firm Foster + Partners. Located at Mission Street between Ecker and 1st Streets, Waldorf Astoria San Francisco will be ideally situated in the city’s exciting new Transbay Neighborhood, in the centre of a vast redevelopment project surrounding the Transbay Transit Centre. Bordered by Market Street on the north, Embarcadero on the east, Folsom Street on the south, and Hawthorne Street to the west, the Transbay Neighborhood is an inspirational environment unto itself. Transportation friendly with wide sidewalks and bike paths, the neighbourhood has a vibrant mix of shops and restaurants, as well as contemporary green spaces which have been carefully planned as key components of the area. World-renowned hospitality design firm, Hirsch Bedner Associates, brings their award-winning design to Waldorf Astoria San Francisco’s interiors to seamlessly blend the brand’s signature worldly sophistication with modern accoutrements reflective of this iconic destination. 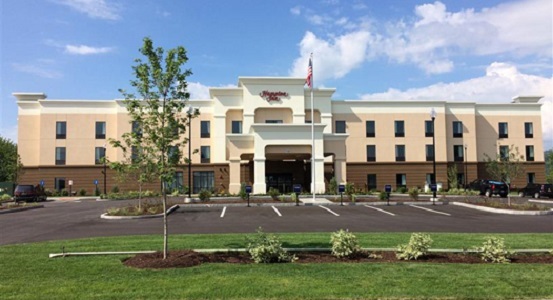 Hilton Worldwide’s Hampton by Hilton brand, the global mid-priced hotel, has announced the opening of its newest property, Hampton Inn by Hilton Penn Yan. The 72-room hotel joins the Hampton by Hilton family of Hampton Inn by Hilton and Hampton Inn & Suites by Hilton hotels. The hotel, located at 110 Mace Street, is managed by Keuka Lake Hotel. Hampton Inn by Hilton Penn Yan is nearby popular area attractions including Keuka Lake and Seneca Lake Wine Trail. Hampton Inn by Hilton Penn Yan also offers amenities, such as free Wi-Fi, a 24-hour business center with complimentary printing, a 1,100-square-foot meeting space that can accommodate up to 70 people, a heated indoor pool and a fitness center. Each guestroom includes high-quality amenities, including the brand’s signature Clean and fresh Hampton bed, LCD TV, microwave, refrigerator and coffee-maker.